I was craving chocolate or something different after a spicy Thai meal on Saturday night. I went into the store looking for something divine in the candy section. I discovered NewTree chocolates. I was curios and a bit hesitant to drop five dollars on one chocolate bar but I really wanted to try something that would make my mouth happy. I picked out the Belgian Biscuit flavor. It was unique but I figure it was a safe bet. The chocolate is good, not to sweet but not bitter. The finely ground cookie bits add a nice crunchy twist to the mix. 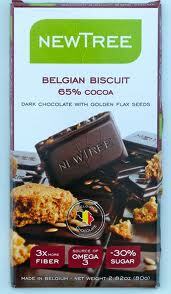 The chocolate does not rely on a bunch of sugar to make it good yet it comes of sweet and the texture is good. The chocolate is fair trade and has fiber to boot! Perfect for a PMS snack attack! These are my new Guess Youski Booties. I received them last week and have been wearing them since! They are comfy, warm and of course vegan! They retail for $89 but I waited till I had a coupon and a deal and got them for $37! Score! 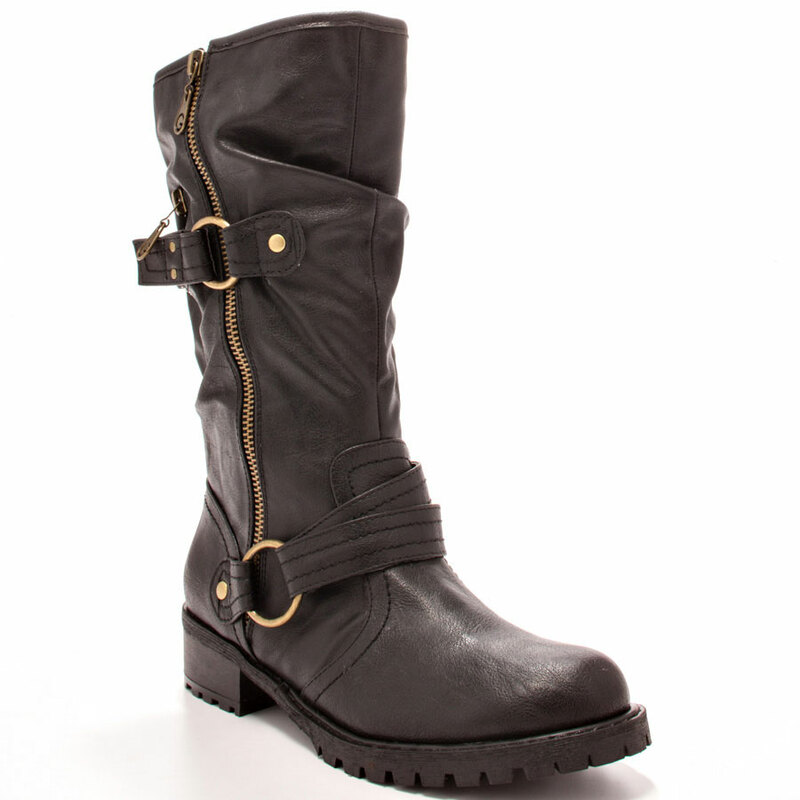 I am in a boot mood this fall that will go into the winter! Finding vegan boots for my size 11 foot has been pretty easy. However I have pretty small calves so finding boots that do not make my legs look like sticks is a different story. I am exploring the legwarmer look to go with boots as an option - plus they ad a layer of warmth! Finding vegan safe boots for guys have been rather tough. Matt wants boots too! Are you rocking any new boots? How are you keeping warm this winter fashion wise? Yesterday must have been bar day...Not go out and drink at a bar day but a food bar day! I tried 2 new to me bars on a whim yesterday and liked both! Sunday after the gym we usually go to the store and I grab a bar to snack on. 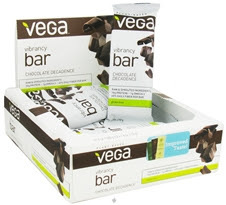 I saw Vega bars on the bottom shelf and hesitated a bit. First off they are $2+ each, pricy considering my go to Luna is usually on sale for $1 each. Also I am not a fan of Vega protein shakes, to be fair I am not a fan of any protein or drink powders on the market. I did put it in my cart, paid for it and ate it. I liked it! It contained savi seeds which gave it a crunch and it tasted sweet but not artificial. The cocoa flavor was nice - not bitter like some of the healthier bar options. Sometimes I find the chocolate flavors in bars tastes off - almost metallic...not these. 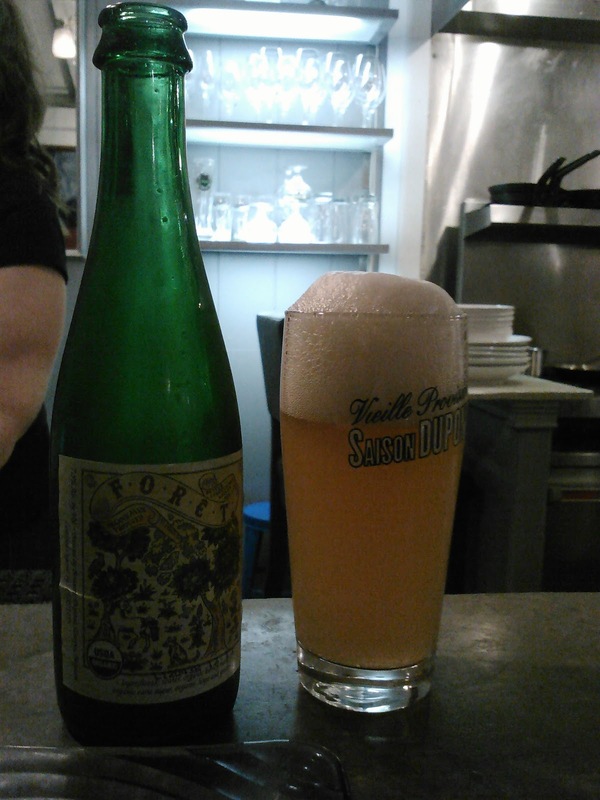 After dinner last night I had a bar for dessert. 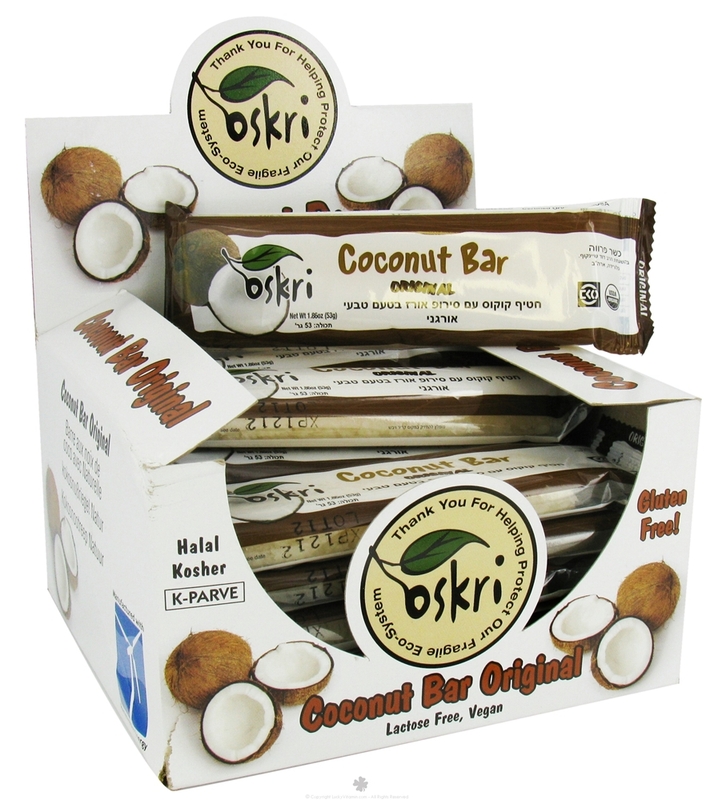 This time a Oskri bar! I saw the bar in the candy section at the store and was intrigued. I like coconut but since Matt is not a fan of it in desserts I rarely get anything with it. The ingredients are simple: coconut and rice syrup. 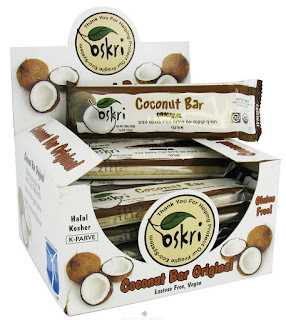 The bar was really good, not dry like some coconut bars and it was sweet but not sticky-icky sweet. I like the simple ingredients and the rich coconut taste! Do you have a fae bar? I am always looking out for yummy bars to try! Matt's movie ('fake' trailer') made it into ITSA Film Festival and since it was local we got to go see his movie up on the big screen again. Last year was our first year to ITSA and mountain driving and can I just say that we are city folk...Car sickness happens to both of us and it is not fun! Before the horror film block started Matt took me to dinner and a brief walk around Murphey's. I was hoping to see more Dia De Los Muertos action going on but since we got up there at 6 maybe it died down. Most shops had decorations. We checked out the bookstore who had an altar to the writers who passed this year. No pictures - sorry! I wish we got to see more...Next year! Our main reason to go to Murphey's was Mineral Restaurant. I have talked about Mineral before - it is worth the car sickness to go eat here! The food is divine! 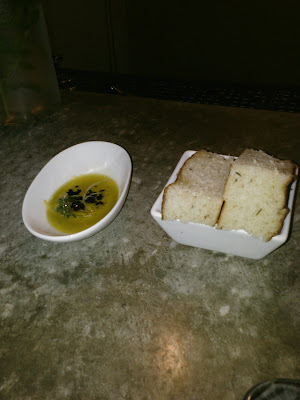 Pillow-y focaccia with herb olive oil. These little slices of bread are so light and airy. The just float in your mouth. The sea salt sprinkle on top brings a balance and a tang to the bread that is really nice. 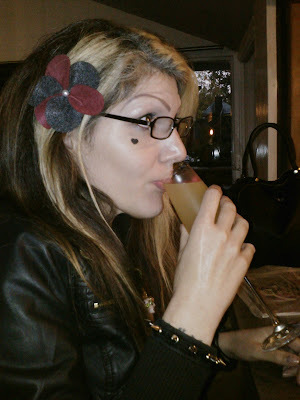 I had a ginger drink that was refreshing and crisp. 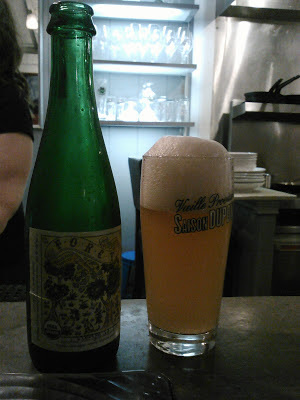 Matt had an organic beer! 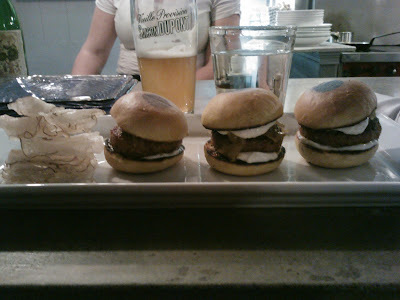 We went to Mineral for one thing and one thing only - the burger! Well, the burger now comes in a slider form - so you can share. Ya - right like that is going to happen! Toasted house made vegan challah bun, beet burger patty, vegan mayo, caramelized onions and a side of house made chips. These are art for your mouth. The flavors range from sweet to smoky and they come together to form a masterpiece. The bread is sweet but not sickly, like a French toast but not so sweet...The burger has a earth smoky flavor that is very savory and comforting. Matt as you know by now hates onions and did not even notice the onions on the burger...Everyone had sliders on their table - no joke! If you want to experience fine dining vegan style go to Mineral - now! You will not be sorry! If you have not seen Matt's 'fake' trailer yet please go watch it! All blood is vegan!